Can I brag about a fellow wedding vendor for a minute? 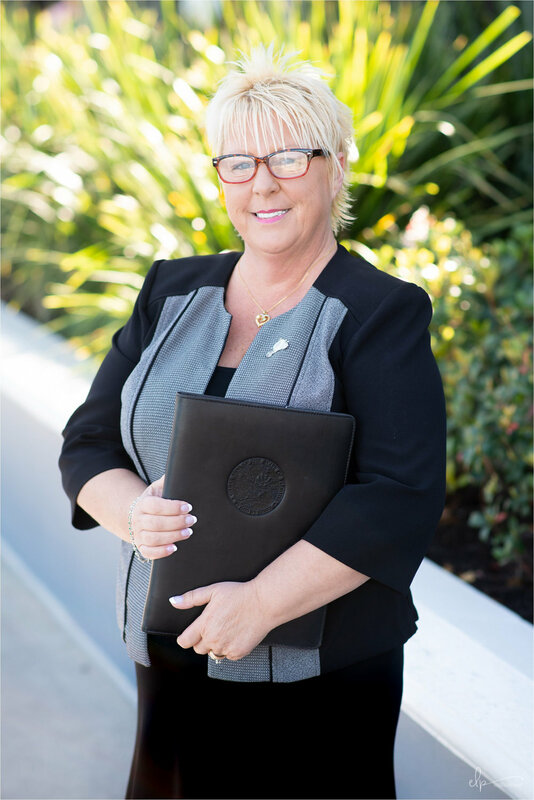 Officiant Katherine T Imundi with Getting Married in Florida is AH-MAZING! I recently was honored with the opportunity to spend some time with her ( and her very fashionable mom ) during our portrait session at Disney Springs, in Orlando, Florida. During our photo shoot, I got to see a bit of the “ behind the scenes” if you will and I am so excited to share that with you! Katherine offers hand fasting as she is originally from Celtic lands of North Wales. The beautiful hand fasting ribbon is detailed and customized to you, the wedding couple, adding a special touch to your wedding ceremony. She also has a unique Mother’s Rose Ceremony you can include to show your love and appreciation to your mom during your wedding ceremony. ( This part makes me tear up a bit as it’s such an intimate and heartwarming moment with your mom, making her feel just as important during your ceremony. ) Words just aren’t enough to explain how perfect a ceremony with Katherine is. And her British accent? I am obsessed with! 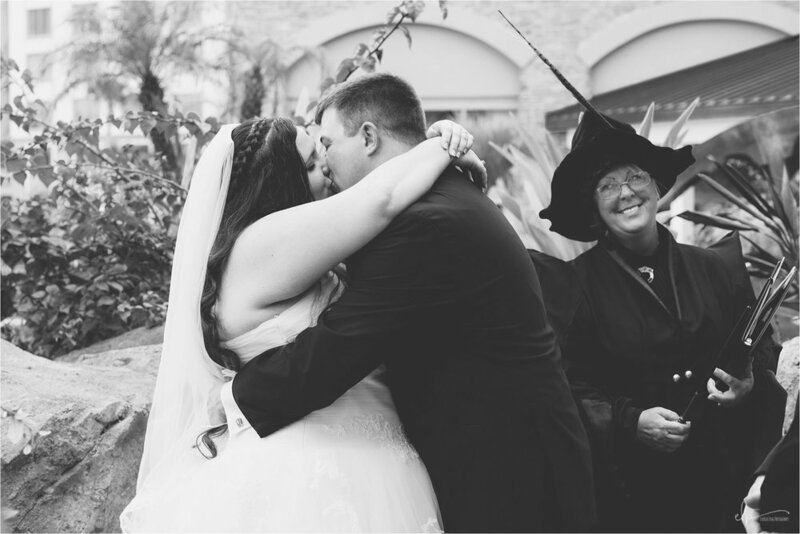 Yes, Officiant Katherine T Imundi offers beautiful Walt Disney fairytale wedding ceremonies, but she also does fun Universal Studios Harry Potter wizardly themed ceremonies as well! She goes all out for these unique themed ceremonies, dressing up as Professor McGonagall, including the wand and owl! How amazing is that!?! With Getting Married in Florida, your wedding ceremony customization is endless. Katherine goes above and beyond with wedding ceremony rehearsals, unique ceremony elements, and mailing / filing your marriage license. She makes sure the entire process is easy and smooth for you, so you have nothing to worry about on the day of your wedding. 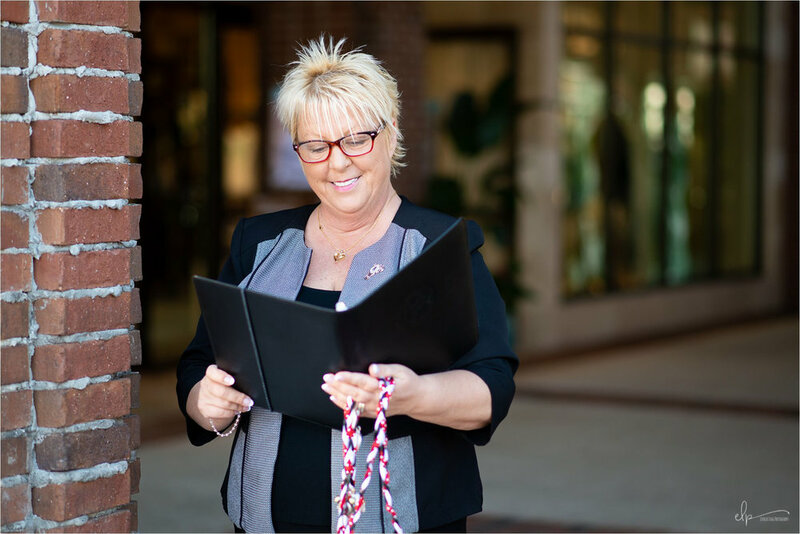 If you’d like to chat about your perfect ceremony with Orlando Wedding Officiant, Katherine T Imundi, click here!